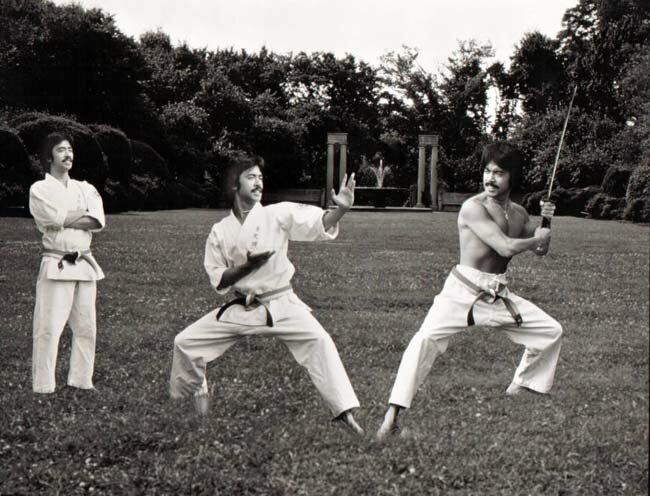 Bill is in the record books as being one of the most successful martial artists to have ever lived. Check out this influential interview with a man who has led a successful life in martial arts and business! 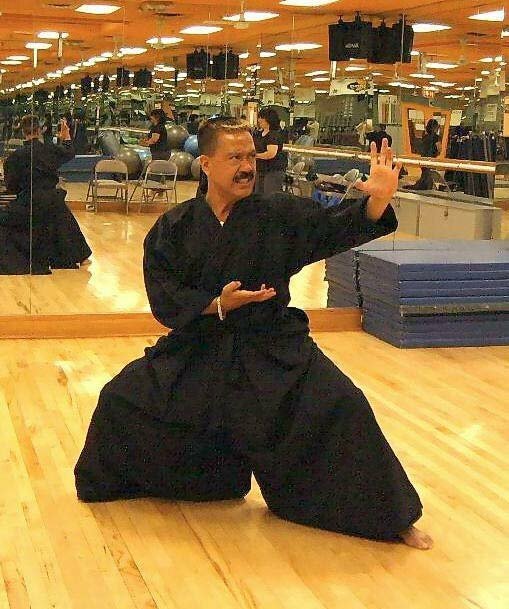 When one considers the contribution made by the great masters, to the various martial arts systems practiced today, the name Bill Louie is clearly worthy of the highest regard. 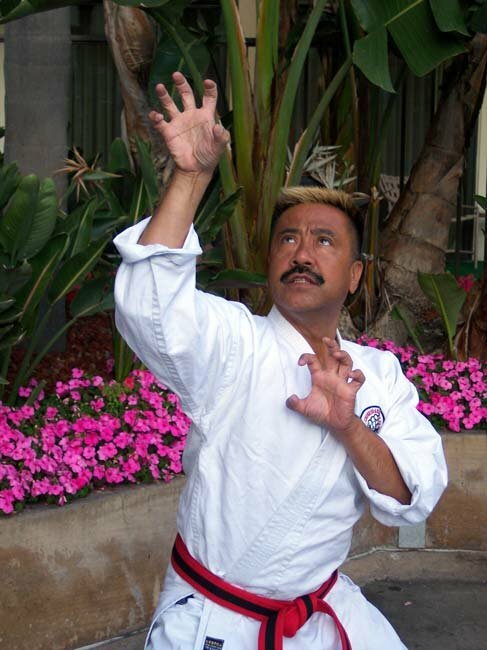 A 10th-degree black belt, and founder of Chinese American Goju Ryu Karate, Bill is in the record books as being a highly influential practitioner and one of the most successful martial artists to have ever lived. Bill considers his particular style of martial art—a style adapted from Chinese Goju Ryu, founded by Grandmaster Peter Urban—to be an ideal combination of what works best in any fighting context. 'Adopt what is good and discard what is not,' are words Bill lives by. Bill feels a style should practice what it preaches, and, as he fits this mold perfectly, Chinese American Goju Ryu couldn't have a more suitable founder and teacher. at the age of 55, Bill recently took first place in his class at the New York State Martial Arts Championships for the second time in as many years. The ability to demonstrate athleticism well beyond his years, as exemplified at his recent win, is something Bill has trained all his life for. At the age of nine, Bill began his quest for martial arts immortality, learning various Kung Fu styles with his uncle in Brookland. These methods, which included praying mantis, tiger claw and white crane, combined with Goju Ryu Karate, and refined over many years, culminated in Bill's unique style, a style that would save a page for him in the American Karate history books and be taught to more than 25,000 people. Goju Ryu Karate-Do is a form of karate developed by Chojun Miyagi. Miyagi Sensei traveled to China and studied soft forms of Kung Fu. He combined the hard forms of Karate with the soft forms of Kung Fu and founded Goju Ryu. He felt that as the karate student achieves strength and skill through karate training and gains hardness physically and spiritually, at the same time they mellow and become a more gentle and selfless person. Thus "ju" or softness and gentleness comes from "go" or hardness and strength of character. "Go" and "Ju" are opposite but equal. The karate student must strive to achieve a balance between them in life itself. With a branch at Gold's Gym in Howard Beach, New York, and one in Boston, Bill regularly teaches his style, which incorporates a hard/soft approach based on one's level of proficiency, to many disciplined adherents. Bill also trains himself twice a day, utilizing his martial arts methods in the morning with weight sessions in the afternoon. Bill is a big fan of bodybuilding and subscribes to many of its practices to build his own muscular physique—he feels martial arts and bodybuilding can be compatible if one maintains their flexibility and overall health. If running a martial arts school and devoting much time to personal physical improvement are not enough, Bill holds a high-powered position as one of the world's most successful financial consultants. Life member of the Million Dollar Round Table, Bill has his name engraved in stone at the New York Life Building due to his ongoing success in sales. This, combined with the establishment of the Chinese American Goju Ryu system, is a fitting tribute to a man who wishes more than anything to leave a lasting legacy to the world. I spoke with Bill recently. His story follows. [ Q ] I understand you have just been away to a tournament. Did you compete? Yes. I just took first place in the New York State Championship, in the 50 and over black belt division. I won this title last year also. [ Q ] So you're still pretty active as a competitor? No, I come out once in a blue moon. I haven't competed in that many in a long time, but I decided to start coming up for fun. Just to show that I've still got it. In this contest, my son took first place and my daughter took first place also. If you go to martialforce.com you will see an interview they did with my daughter. [ Q ] So you have been successful as a competitor over recent years. What are some of the key aspects to competitive success in your style of martial art, in your view? I think technique is always going to win over strength. Using leverages, concentration and focus, and good technique will always conquer strength. But it can be worked hand in hand. [ Q ] What else are you doing these days? What is your involvement in the martial arts currently? Well, I'm head of the Chinese American Goju system. I've been in martial arts since I was 9-years-old, and I'm 55 now. [ Q ] Have you been involved in Chinese American Goju from day one? Yes, I'm head of the system, and a direct descendant of Peter Urban. O'Sensei Peter G. Urban is the Father of American Goju Ryu Karate. [ Q ] How often do you train Bill? [ Q ] What kind of training do you do? I integrate Karate with bodybuilding. 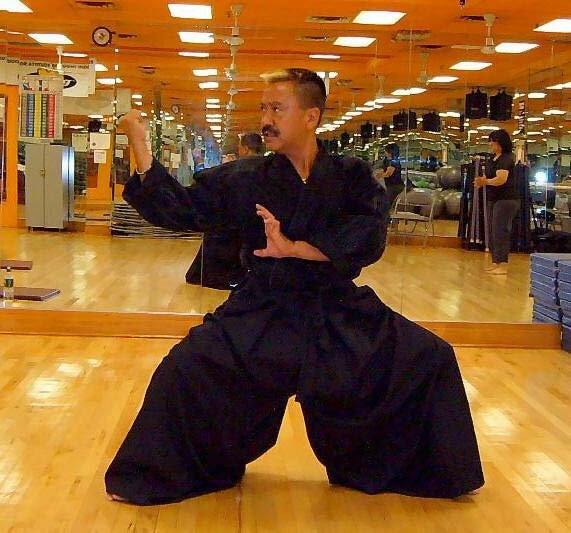 I'm a traditionalist, so my style is traditional Goju, mixed with various Chinese styles of Kung Fu. [ Q ] How does this system differ from any other martial art style. Well, Karate is Karate, but I'm Chinese and have studied other forms of Chinese Kung Fu. [ Q ] What time do you train in the morning, and do you train at any other times? In the morning, I train at 6:45 to 8 a.m. At this time I do my kata's and stretching. In the afternoon, I bodybuild. [ Q ] Would you recommend bodybuilding for the martial artist? Bodybuilding is important for the martial artist to keep strength and tone in their muscles. I'm not a competitive bodybuilder so I personally do not aim for massive size. [ Q ] So the additional bulk of a bodybuilder will not decrease martial arts performance? It won't if you stretch, and practice the techniques every day. [ Q ] What are your strength training goals then? To increase the strength and power in my techniques, and also to stay in good shape. [ Q ] And what sort of shape are you in Bill? I have been asked, when I am training, if I am preparing for a bodybuilding show. I'm not that big but some people obviously think I'm in good enough shape to compete in natural competition. Good Enough To Compete Naturally. [ Q ] You mentioned doing strength training, stretching and forms as part of your training routine. Do you do any sparring? I spar with my students, when I teach. [ Q ] And do you think you are making improvements as you age? I haven't slowed down, let's put it that way. I like to think I'm still in pretty good shape, and that's why I entered the competition. [ Q ] Do you have any strategies, other than the obvious exercising, to get in shape? I do watch what I eat. Most people will tell you that I don't look my age. I try to eat low carbs, with the right amount of protein. Like a bodybuilder, I try to eat about 4-to-5 smaller meals a day. I also drink a lot of water. [ Q ] What about supplements? I always take my daily multi-vitamin. I also take MetRx protein drinks, and eat a lot of eggs. [ Q ] Whole eggs, or just the whites? Usually I try to eat just the whites. [ Q ] How much sleep do you get? I try to get at least seven hours of sleep a night. If you could think of a natural bodybuilder training, I'm somewhat geared in that direction. I definitely want to maintain a good physique. [ Q ] So bodybuilding and martial arts are compatible? Yes. So long as the bodybuilding doesn't effect your speed and flexibility. You will certainly gain a lot of power and strength from bodybuilding, so it can only be a good thing. For the martial artist, they should not overly do the bodybuilding side though. [ Q ] What type of bodybuilding movements do you use specifically to enhance your own martial arts skills? I don't try to overdo it. I train chest and back in one day; shoulders and arms on another day; and legs on another. I do squats and deadlifts, the main power movements, for bodybuilding purposes, not powerfifting. I keep the reps higher and the weights moderate. [ Q ] Where were you born Bill? I was born in Brooklyn New York. I trained in New York when I was nine, then I was transferred to Hong Kong for a while, trained there, then came back to New York and trained again. The style was established in New York. [ Q ] Where are you based now? I'm based in 157/05 Crossbay Boulevard, Howard Beach at Gold's Gym. I teach inside of Gold's Gym. I also have a branch in Boston. One of my top students, Gary Card, who is the number one rated in crane, teaches my school out there. [ Q ] What attracted you to martial arts to begin with? My heritage. A big part of the Asian culture is martial arts. Obviously, I wanted to learn more about my own culture, and then it became a love. [ Q ] What are your thoughts on cross training various martial arts? I've crossed and combined to make the Chinese American Goju Ryu a combination of tiger claw, white crane, praying mantis and judo/ju-jitsu, and goju. I've studied under different masters. I've Studied Under Different Masters. [ Q ] So combining different martial arts is not necessarily a bad thing? No. Anything that it useful you use. As my teacher would say, always keep the good, and discard the bad. 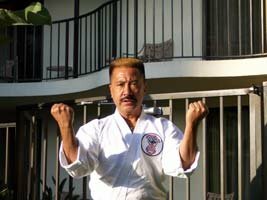 [ Q ] What are the practical benefits of Chinese American Goju Ryu? It's about learning combinations of effective styles and combining them into one martial art, as opposed to just having the one. Everyone can pick up or adapt to certain techniques from different styles. Some systems stress low stances, some high stances; some use circular motions; some straight motions. This way (with my style) you get to use all the different techniques and learn the ones that fit your body-type. [ Q ] How popular is your style? How many people have you taught? I would say I've taught 25,000 people, easy in my career. We have competed against other styles and we have done very well - we hold our own. We go into open competition to compete against any style out there. I'm not saying we are better than anyone else, I'm just saying we hold our own. [ Q ] Speaking of competition fighting, what are your thoughts on some of the newer disciplines such as the UFC? I think the ultimate fighting is a whole different style of fighting. All styles have their good side, but I like to look at the martial arts as an art form, rather than a sport where one is paid to fight and hurt each other. I don't think this is what Karate was meant to be. The martial arts as far as I'm concerned were meant to be something a person did to improve their health, and as a way of life. In the case of an emergency, or self defense situation, of course this is an appropriate time to use it. I don't believe in being paid to hurt somebody, to try and show my superiority. [ Q ] Who were some of your earlier influences Bill? Obviously Bruce Lee was one. My cousin (Richard Louie) who taught Kung Fu was another. All my instructors were obviously very influential, as were the martial arts movies I watched growing up. [ Q ] What was it that made Bruce Lee so great do you think? I think his passion for the art, and for what he believed in. [ Q ] Who do you think would be the greatest martial artist that ever lived? would it be Bruce Lee? I couldn't really say that. I respect all the masters for their own style and what they mastered. I think the master who started judo is the best in judo; Bruce Lee who started Jeet Kune Do, is the best in that style; Yamaguchi, Oyama (Mas), these are all great men, who are the best at what they started. I couldn't say who is the greatest martial artist. I like to think I'm the best in my own system. But am I better in judo, than the Originator of judo? No. [ Q ] You have a background in acting also. What are some of the films you have been in? I have made six kung fu movies. I actually starred in one with Jackie Chan's instructor. The guy who taught Jackie Chan and Sammo Hung starred alongside me. [ Q ] What was that experience like? He was great. At that time I believe he was 77 or 78 and he could still do handstands, and martial arts. I actually went on to do some directing and choreographed all the fight scenes in these movies. [ Q ] What are some of the more memorable experiences you had as an actor? Probably working with the grandmaster (Jim Yuen Yu) who taught Jackie Chan and Sammo Hung. [ Q ] You have held martial arts demonstrations throughout the world. Tell me more about these? I'm actually in the history books of Karate in America. I'm noted as performing the impersonation of Bruce Lee; I did this a few times at Madison Square Garden. This was called a tribute to Bruce Lee and when I performed it after his death, I got a standing ovation from the 20,000 in attendance at Madison Square Garden. I've been on ABC Wide World of Sports and have traveled all over the United States performing at some of the biggest arenas. Back then, Warner Brothers was considering me to make a story about the life of Bruce Lee, but that movie was canned back then. Since this time, there have been stories about the life story of Bruce Lee. Have you had any compulsion to want to get involved in any of these? At that point I had stopped doing any form of acting and had gone onto the financial services business. [ Q ] Tell me more about your financial services business. I'm what they call a life member of the million dollar round table. This puts me in the top four percent in the world at what I do. [ Q ] At what age did you become involved in the financial service business? I started late at the age of 38. I took a challenge to go into a field I knew nothing about and in the first year I broke a couple of records, and was ranked as a top Chinese agent in the company as far as writing policies. Now I am one of the top financial consultants in the country. [ Q ] Have any of your family members followed in your footsteps in this regard? No, only in the martial arts. My daughter and son both do Chinese American Goju Ryu. [ Q ] What are some of the key precepts of Chinese American Goju Ryu? My style definitely practices what it preaches. It the hard and soft system. My students when they are young, practice the hard style. When they are older they graduate to the soft system. [ Q ] So what are the main differences between the hard system and soft system? With the soft system, you don't have to exert as much energy. First of all you have to understand what hard is to understand what soft is. We teach the hard first because youngsters all like to engage in more of an action based fighting with more explosive power. As you become older, you become more calm, and you learn how to deal with life in a more calm manner. The first approach is hard, because it all comes with maturity. [ Q ] Is there a certain age where martial artists become more adept, or more in control of what they are doing? It is not so much the age, but the level of perfection in technique they attain. It's sort of like when you become more confident, you don't really feel you need to prove anything. You become more confident in yourself, more at peace with yourself, to where you don't have to display anything - you know in yourself that you are superior. [ Q ] Are there any fundamental problems inherent in martial arts today? I just think that some of the masters would be turning over in their graves if they saw some of the acrobatic moves that people are doing now in Karate. I'm not in agreement with all these summersaults and back-flips, double-jointed moves that they call the martial arts. I think it's more gymnastics. The changes are not what martial arts are all about as far as I'm concerned. [ Q ] These sorts of moves are seen more in the movies though. I've seen them in competition also. These things don't work in the street. It's entertaining rather than practical. [ Q ] Isn't increasing the entertainment value of martial arts a good thing though? I just think it takes you away from what martial arts is all about. [ Q ] Is it good in terms of movies, or would you prefer to see more traditional styles used? In the movies it's good if people don't take it out of context, and understand that it is a movie. Their not going to come to a Karate school and learn how to fly through the air, or to jump from roof to roof. It's good for entertainment purposes in the movies. It's not good for the art itself if it makes people think that that's what we do. [ Q ] What is your view on Jet Li, one of today's martial arts icons? I think he is a great film martial artist, and a great Wushu practitioner. I've seen him do Wushu and I think he is one of the best at it. As a martial artist, I don't know what his philosophies are, so I can't really comment about the man. But he does have great martial arts technique and he is promoting martial arts very well, and he is a champion. You can't take that away from him. [ Q ] You are a tenth degree black belt, and the head of the Chinese American Goju Ryu system. Is there anything left for you to accomplish?
. I'm mentioned in there a few times. I'm always learning about life and Karate is all about perfecting yourself in your life. I consider Karate to be a way of life and every day I look at things through the eyes of a Karate instructor, or a master. I don't look at things from the perspective of a normal person. I see things and try to learn from them. Can I perfect my technique? Well, sometimes I add a little something more to the system, when I see it can fit, or if it is good. I learn from other masters. Sometimes they teach me stuff, and I look at it and say "now that's good." I absorb it. What do I want to do? I want to leave a legacy. When I leave this world I want to say "I didn't just pass by." Rather, I did something to leave my mark, so that people will benefit from what I've learned. [ Q ] Have the various martial arts concepts you have learned over the years had any bearing on your business success? Absolutely. The concentration and the discipline that I have learned through the martial arts has made me what I am, one of the top in the country in my field. I have my name engraved in stone at the New York Life Building. This means the minute I'm gone, my name will still carry on. [ Q ] Bill. Thanks for your time. Is there anything would like to say in closing? I would just like to say that I would like to see the martial arts going back to what they were - the way the masters in the past had intended it to be. Concentrate On Health & Personality. I don't like to see people training to hurt people, but I would rather they concentrate on perfecting there own personalities, and to improve their health.